The Finnish initial public offerings market has been active during the last few years, and the number of listed companies in Helsinki's main and growth markets continues to grow. Conversely, there was another decrease in annual bond listings – a decrease of 47 per cent in 2017 compared with 2016. Bank-based debt capital remains the primary financing vehicle for companies in Finland. The role of the country's multilateral trading facility (MTF), First North Finland, has continued to reflect its purpose: attracting new listing candidates and issuers in order to act as a stepping stone onto the main market, and several companies have transferred to the main market in recent years. The Helsinki Stock Exchange is the main trading venue for stocks, bonds and derivative instruments. Since 2007, Nasdaq has controlled the various exchanges and regulated markets across the Nordic countries under the name Nasdaq Nordic. Nasdaq Helsinki is the Nasdaq Nordic subsidiary located in Finland. Nasdaq Helsinki has one official list, the Helsinki Stock Exchange, sometimes also called the 'main market', which is divided into three segments based on market capitalisation of the listed companies (large, mid and small cap). Additionally, Nasdaq hosts the MTF Nasdaq First North, which expanded into Nasdaq Helsinki as First North Finland and First North Bond Market Finland. As MTFs, First North Finland, sometimes called the 'growth market', and First North Bond Market Finland do not have the legal status of an EU-regulated market (unlike the Helsinki Stock Exchange), and are subject to less onerous regulations compared to the Helsinki Stock Exchange. Euroclear Finland Ltd provides clearing services and registration services for securities on Nasdaq Helsinki's various trading platforms, and acts as the central securities depository (CSD) in Finland. All companies whose shares or other securities, both equity and debt, that are subject to public trading on Nasdaq Helsinki must register these securities with Euroclear Finland. Consequently, all holders of such securities must open a book-entry account with Euroclear Finland or an account operator (e.g., a stockbroker, credit institution or other organisation registered with Euroclear Finland), or instead register their shares through a nominee registration process to have their securities entered in such accounts. Nominee registered beneficial owners cannot exercise their administrative rights of shareholders without temporary registration to the shareholder ledger, but may receive financial rights (e.g., dividends) and participate in share issues through the nominee. Euroclear Finland maintains company-specific shareholder registers for companies that have joined the book-entry securities system. In Finland, only a non-Finnish shareholder may appoint an account operator to act as a custodial nominee account holder on its behalf. Finnish persons or entities as of now may not hold equity securities in (omnibus) nominee-registered accounts. Nasdaq Helsinki uses the INET Nordic trading system for trading in the equities market. Trading and clearing are carried out in euros, with the smallest possible price change (tick size) being €0.0001. Transactions are carried out on the second business day after the trade date (T+2), unless a longer period is otherwise agreed between parties. Specifically with regard to the debt market, the high-yield (or non-investment grade) bond market for a Finnish corporate issuer is generally either (1) the European or international high-yield bond market, or (2) the domestic or Nordic high-yield bond market. In Finland, the latter is significantly more active. Nonetheless, the transaction size in issuances to European or international investors will be larger, based on documentation conforming with international standards, and typically governed by New York or English law. Finland has a civil law system that closely resembles the legal frameworks of other Nordic countries. The past few decades of European cooperation and integration have greatly affected Finnish legislation and, as such, moved the regulation of securities markets in line with that of other EU capital markets. In addition, the EU's European Securities and Markets Authority (ESMA) strives to promote supervisory convergence in the European Union. National authorities, such as the Finnish Financial Supervisory Authority (FIN-FSA), must make every effort to comply with the ESMA guidelines ('comply or explain' principle), and, in practice, FIN-FSA adopts the ESMA guidelines as part of its regulations and guidelines that apply to Finnish-regulated entities and market participants. Other governing bodies with securities oversight are the Cabinet of Finland (also called the Council of State), the Ministry of Finance of Finland, the Bank of Finland, the Finnish Securities Market Association (FSMA) and Nasdaq Helsinki itself. The Securities Markets Act (746/2012, as amended) (SMA) is the primary regulation of the capital markets in Finland. The SMA, along with other regulations, governs the issuance and trading of securities, disclosure obligations and takeover bid conduct. The Market Abuse Regulation (MAR)2 and the Directive on Criminal Sanctions for Market Abuse (also called the Market Abuse Directive, CSMAD or MAD II),3 in force since July 2016, pre-empts certain SMA provisions, as well as regulations and guidelines issued by FIN-FSA, and rules of the Helsinki Stock Exchange related to insider dealing and market manipulation. The MAR also extends the scope of EU market abuse regulation from regulated markets to MTFs. Currently the SMA also provides certain national 'gold-plating' relating to, for example, prospectus rules when it comes to smaller offerings that fall outside EU regulation. Where an offering would fall below the current €5 million minimum level of the EU Prospectus Directive (EUPD),4 the SMA will require the preparation of a 'national prospectus' for offerings exceeding €2.5 million. The content and procedural filing requirements for a national prospectus mostly follow the requirements placed on a prospectus prepared pursuant to the EUPD, especially when compared to the EUPD prospectuses of small and medium-sized companies that benefit from a proportionate disclosure regime. While a national prospectus offering will not be admitted to trading on an EU-regulated market, the national prospectus does allow offerors a less onerous path to offerings that do not meet the 'general public' exemptions of prospectus requirements, that is, offerings to either qualified investors or to no more than 150 other investors, such as in cases of employee or seed offerings. An offering below €5 million and entry into First North Finland may also be carried out without a national or EU prospectus if a separate 'company description' is drafted in accordance with the First North Rulebook. On 20 July 2017, a new EU Prospectus Regulation (EUPR), intended to replace the EUPD, was enacted but with only a limited number of provisions having immediate effect. (The EUPR is discussed further in Section II.i.) The Investment Services Act (747/2012, as amended) (ISA) is the central regulation that applies to companies whose principal business includes offering investment services, such as execution of orders on behalf of clients, underwriting or placing securities issues or arranging an issue, or portfolio management. The ISA mainly implements the Markets in Financial Instruments Directive (MiFID II)5 in Finland, accompanied by the directly applicable EU Regulation (MiFIR).6 The ISA has detailed provisions on the business activities, financial security and risk management of investment firms, as well as on conduct of business and client relationships. Other financial market regulation covers, among other topics, investment funds, and provision of the clearing and settlement and trading of financial instruments. The financial markets legislation is supplemented by lower level decrees from the Ministry of Finance, relating to, for example, prospectuses and takeover documents, and FIN-FSA's regulations and guidelines, relating to, for example, offering and listing of securities. Related laws affecting financial markets also include the Companies Act (624/2006, as amended), the Auditing Act (1141/2015, as amended) and the Accounting Act (1336/1997, as amended). In addition to legislative compliance, there is also significant self-regulation by different market participants and relevant associations. Companies that are listed or that trade on a regulated market must also adhere to specific Nasdaq Helsinki rules, which are confirmed by the Ministry of Finance. These rules include provisions on, inter alia, eligibility to be listed on the market, periodic reporting and insiders. The Helsinki Stock Exchange has a statutory supervisory duty to ensure compliance, importantly, with the SMA, as well as with the rules of the exchange for activities on the stock exchange. Euroclear Finland has its own rules (approved by the Ministry of Finance) and decisions complementing the rules. Issuers are required to follow those rules and decisions, for example in corporate actions or when new securities are issued. Chapter 11 of the SMA also requires a listed company to directly or indirectly belong to an independent body established in Finland that broadly represents the business sector and provides recommendations on its own guidelines to establish best practices and uniformity. Compliance with guidelines is subject to the 'comply or explain' principle. The largest of these independent bodies is the Securities Market Association (FSMA), a cooperation organ established by Nasdaq Helsinki, the Confederation of Finnish Industries (EK) and the Finland Chamber of Commerce in 2006. The FSMA publishes the Helsinki Takeover Code, most recently revised on 1 January 2014, which addresses practices related to actions of both bidder and target companies, as well as the management and shareholders of each, and affects all relevant parties involved in a public takeover bid. To aid companies in complying with the Helsinki Takeover Code, the FSMA hosts the Takeover Board, which issues recommendations providing direction for mergers and acquisitions. The FSMA also publishes the Finnish Corporate Governance Code, most recently revised on 1 October 2015. The Code aims to improve the transparency of corporate governance practices and principles of listed companies, and to advance more uniform corporate governance reporting. In replacing the prior 2010 Code, the 2015 Code was in response to the European Commission's 2014 Recommendation regarding the quality of corporate governance reporting. Similarly, the FSMA has set up the Market Practice Board, which issues recommendations covering corporate governance practices and regulation. In addition to the above, the Finnish Financial Ombudsman Bureau (FINE) provides consumers, small and medium-sized enterprises and corresponding customers with advice for problems they may face in their insurance, banking and investment operations, and for solving related complaints. The advisory services answer questions and provide information on legislation, contractual terms and the practice and modes of operation in the financial sector, on FINE recommendations and on relevant case law. FIN-FSA is the supervisory authority for the financial and insurance sectors. It operates in connection with the Bank of Finland but is independent in its decision-making. The entities supervised by FIN-FSA and the Bank of Finland include listed companies and other issuers, credit institutions, investment firms, fund management companies, insurance and pension companies, and other companies operating in the financial or insurance sectors, such as Nasdaq Helsinki and Euroclear Finland. FIN-FSA's supervisory powers are for the most part laid out in the Act on the Financial Supervisory Authority (878/2008, as amended). FIN-FSA performs its supervisory tasks through, for example, the review of Finnish-listed companies' disclosure obligations, prospectus filings and takeover bids. FIN-FSA also supervises conduct in financial markets, including investigations of suspected insider violations. The most relevant supervisory powers regarding the securities markets concern the right to obtain and inspect information, which includes, inter alia, the right to obtain information from the board of directors of a listed company notwithstanding any confidentiality provisions. In addition, regarding offerings, FIN-FSA has the power to postpone an offer if it has reasonable grounds to suspect that the offering to the public violates the SMA or regulations issued under it, to prohibit the continuation or repetition of prohibited marketing, and to impose conditional fines. Furthermore, FIN-FSA supervises the financial reporting of public companies that issue securities, such as shares or bonds, for trading on a regulated market by monitoring their compliance with the International Financial Reporting Standards. Nasdaq Helsinki supervises trading activities and adherence of its rules. FIN-FSA or Nasdaq Helsinki may sanction non-compliance pursuant to applicable securities markets regulations. Sanctions may range from notices of non-compliance, or conditional or administrative fines or penalty payments, to removal of the securities from trading or cancellation of the registration of the non-compliant party (such as a registered adviser of a listed company). If evident harm has been caused to investors, FIN-FSA may order the entity on which it has imposed the prohibition to amend or remedy its actions. For example, in an offering where the statutory information about marketing had not been provided, FIN-FSA prohibited continuation of the marketing activity and required the offeror to provide its investors with the statutory information and the option to cancel previous commitments. Serious breaches of certain securities markets regulations are subject to criminal sanctions of fines or imprisonment. The Bank of Finland is the national monetary authority and the central bank of Finland. It is also part of the Eurosystem, which is responsible for monetary policy and other central bank tasks in the eurozone and administers use of the euro. The Bank of Finland's primary objective is price stability and its tasks are not specifically directed to listed companies; however, its oversight supervision does cover Euroclear Finland. The Finnish court system consists of general courts of law, administrative courts and special courts. Apart from those matters heard before special courts, civil, criminal and petitionary matters are processed in the general courts of law, which include first instance local district courts, courts of appeal and, as the last resort, the Supreme Court. Minor disputes in the district courts may require leave for continued hearings in the courts of appeal. Most cases require a leave to be granted before the case can be heard by the Supreme Court (approximately only 7 per cent of appeals are granted leave). Administrative courts include the administrative courts of first instance and the last resort Supreme Administrative Court. Matters of administrative law, such as the activities of authorities (e.g., FIN-FSA), tax law and administrative procedures are processed in these courts. There are also four special courts in which specific types of issues are processed. The Finnish court procedure is centralised, ensuring that a judgment is based on facts presented to the court immediately before deciding the issue. There is also a preparatory session held before the actual trial. The litigation process is governed by certain other key principles, such as the principle of oral hearings and the principle of immediacy, both of which provide for all statements and evidence to be presented to the same court and judges who would ultimately decide on the matter; the principle of transparency, which provides parties with the right to receive information; and the principle of contradiction (audiatur et altera pars), which provides parties in trial with the right to present their case in court. The year 2018 began with a number of regulatory changes affecting financial markets all over the European Union. The updated MiFID II, accompanying MiFIR and the revised Payment Services Directive (PSD2) were implemented in Finland in January. Preparations continue for implementation of the Insurance Distribution Directive7 and the revised EUPR later in the year. MiFID II and MiFIR entered into force on 3 January 2018 and mainly affected the ISA and the Act on Trading in Financial Instruments. The revised MiFID also allows an MTF to be registered as a growth market for small and medium-sized enterprises, but, at least for the time being, the local MTF (Nasdaq First North Finland) has not published a registration. While most of the MiFID changes do not directly affect equity or bond offerings, there are a few matters, such as target market assessment and the requirement for pre-published allocation policy and record-keeping requirements of allocation, that need to be taken into account both in documented and undocumented deals (e.g., accelerated book-buildings). As noted earlier, the first part of the EUPR entered into force on 20 July 2017. Most of the provisions will take effect in July 2019. The goal of the EUPR is to facilitate (1) companies entering into the capital markets, reflected by specific 'growth prospectus' requirements for small and mid-cap companies (up to 499 employees) admitted to a growth market, (2) initial listings, reflected by reducing and focusing prospectus requirements and having a single access point (ESMA) for all EU prospectuses, and (3) additional issuances for listed companies, reflected by the use of simplified prospectuses for secondary issuances and, separately, the Universal Registration Document, the EU equivalent of shelf-registration. The EUPR does not require further implementation through the SMA, but since the EUPR replaces the EUPD, existing SMA provisions based on the EUPD will need to be abolished. The Ministry of Finance issued a government bill for the amendments in September 2018. One of the outcomes of the amendments is that the requirement to publish a prospectus in offerings will be raised from €5 million to €8 million as of 1 January 2019. Finland's main and growth markets continue to grow in listings, market value and number of listed companies and come second only to Sweden in the Nasdaq Nordic markets. From 2012 to 2017, the Helsinki Stock Exchange admitted two, five, two, five, six and seven listings, respectively, and First North Finland admitted one, one, six, seven, five and six, respectively. In 2018, as at the end of August, four companies have listed on the main market, and four companies on the growth market. In the spring of 2018, the State of Finland effected its first privatisation in nearly 20 years when it listed a company through an initial public offering (IPO). First North Finland began to embody its growth role from 2016, when two companies transferred to the Helsinki Stock Exchange, and continued to do so in 2017, with three companies transferring to the main market; in 2018, as at the end of August, one company has transferred to the main market. The possibility to issue and list new primary shares for up to 20 per cent without a prospectus has also made it appealing for companies to arrange accelerated book-buildings and raise new equity capital quickly and efficiently. The steady increase in listings is also reflected in the market value of the Helsinki Stock Exchange, which has continued to grow – end of year 2014 (€168 billion), 2015 (€187 billion), 2016 (€208 billion), 2017 (€223 billion) – but is still lower than in 2007 (€252 billion). This market capitalisation correlates with the number of listed companies on the Helsinki Stock Exchange, the year-end numbers being 123, 126, 128, 131, respectively, from 2014 to 2017. In general, the Finnish capital markets have been in a relatively strong upswing since 2014. This trend may be explained by the continued, extremely low interest rates as a result of the 2008 financial crisis. This has led companies to seek financing options other than direct bank financing, and has made equity investments and IPOs more attractive. Recent high market valuations have also increased the interest in IPO transactions, making equity investments more attractive both from issuers' and investors' perspectives. 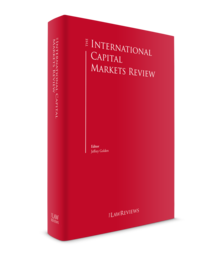 At the time of writing, the Finnish capital markets appear to be on track for another solid year. The general slowdown in US IPOs since 2014 seems not to have reached the Nordic markets yet, perhaps owing to their relative stability as compared with other EU markets, or the lack of extensive private equity, as in the United States, which has supported companies growing without public capital. If market sentiment does not face a significant downturn, continued deal activity is expected for the remainder of 2018 and the beginning of 2019. The fact that the IPO market has been quite active during the past few years has conversely affected bond offerings. The annual bond listings on the main market have decreased significantly from 168 in 2014, to 121 in 2015, 63 in 2016 and 33 in 2017. Notwithstanding, Finnish issuers issued bonds with an amount of approximately €17 billion in 2017, a domestic bond issuance increase of about 13 per cent from 2016. Moving forward, we are likely to see more fallen-angel corporate issuers entering the high-yield space, as they are likely to receive attractively light covenant packages, and Finnish pension fund investors, as they continue to see their own investor base expand. The primary actors currently keeping the bond market afloat are, however, supranational or government investors. The European Central Bank (ECB) has been encouraging borrowing through its bond-buying programme, but the ECB has announced an end to net purchases by the end of 2018. Domestically, we have seen central government bond issuance increase again, but for 2017, only by about 4 per cent, whereas in 2016, the increase from the previous year was 28 per cent. Notwithstanding, a recent trend has been the refinancing of bank loans into secured loan and bond structures sharing the same security assets, which has highlighted the importance of intercreditor agreement terms. The banking sector is in good shape and still actively providing financing despite the liquidity and capital requirements of Basel III, and its implementing act in Europe, and the CRD IV package, which have increased the regulatory burden for banks and have made lending more challenging. Nonetheless, the Confederation of Finnish Industries (EK), the private business organisation mentioned in Section I.ii, has led the work on developing and enhancing the functionality of Finnish bond markets in cooperation with its members. This work resulted, for instance, in the introduction of template bond terms in 2014. These terms have been widely used and familiarised by market players, making the bond issuance process less onerous. For the purposes of this type of bond issue, the main question from an issuer's and investor's perspective is whether the credit in question is strong enough (implied BB issuer credit rating) to issue under investment grade documentation or whether the EK model documents will be required by the relevant investors. New Finnish legislation concerning bondholders' agents entered into force as of September 2017. This came about because of the common practice of agents representing bondholders, as reflected by agent clauses in template bond terms, through bondholders' meetings, despite the lack of legislation and court practice. The purpose of the legislation is to reassert the authority of the agent to act on behalf of the bondholders, and confirm how agency actions are controlled to be in line with the common view that the agent is at least authorised to represent the investors. The legislation also ensures that bondholders' agents will be authorised to, for example, sue, apply for the debtors' bankruptcy and hold security on behalf of the bondholders. Some compliance requirements and information obligations have been imposed on bondholders' agents to ensure their reliability. This development is likely to increase investor protection and make high-yield bonds more attractive to both domestic and foreign investors in the future. There is rather limited legal precedent to guide the interpretation of the Finnish securities markets legislation and actions of FIN-FSA in its supervisory tasks. However, in the past decade there have been a number of high-profile, white-collar securities fraud investigations and criminal procedures. However, most of the cases in question were extremely contentious, with very specific details and facts. In many of these cases, the first instance courts found the defendants guilty, but these decisions were reversed at the appellate levels. Recent changes in the tax regime are the result of the increasing competition for tax revenues and the economic downturn. The corporate tax rate is 20 per cent, which is below the EU and European average. Recent developments have also closely followed the OECD's project to tackle base erosion and profit shifting and the EU's Anti-Tax Avoidance Directive.8 Legislation restricting deductibility of interest expenses entered into force in 2014 to dampen tax planning by Finnish companies financed by intra-group loans from their foreign group companies. Additionally, the Finnish tax administration has become more aggressive in challenging existing corporate structures and intra-group loan arrangements. The concern over losing tax revenues has driven Finland to safeguard its tax base more diligently. Former legislation allowed broad deductibility of interest expenses, which could be limited only by applying the transfer pricing regulation or the general provision for tax avoidance. The limitations restrict the deductibility of the net interest expense (the amount of all interest expenses exceeding all interest income) to 25 per cent of a company's fiscal EBITDA. The current limitations are subject to certain safe haven clauses. Interest payments for third-party loans are not affected, but may be deemed intra-group loans in situations such as back-to-back arrangements or when a related party has secured a third-party loan with collateral. As a result of implementation of the Anti-Tax Avoidance Directive on 12 July 2016, interest limitations were extended to all loans of non-stand-alone taxpayers (subject to certain monetary limits: under a draft government bill proposed in January 2018, the 25 per cent rule would be applied to all net interest expenses, if they exceed the €500,000 threshold; however, a safe haven of €3 million for third-party loans would be applied). The interest limitation rules have to be considered when arranging financing structures of Finnish entities. The Ministry of Finance is currently preparing a final government bill on deductibility of interest expenses, which may deviate from the draft government bill. The content of the interest deductions rules to be amended is due to be published in autumn 2018. Dividends received by a Finnish company may be tax-exempt because of domestic tax law, EU law or tax treaty provisions. In general, dividends received by a Finnish unlisted company are tax-exempt if the dividend-distributing company is either an unlisted company or a listed company of which the dividend receiving company holds at least 10 per cent of share capital. Pursuant to the EU Parent Subsidiary Directive (2003/123/EC), these same principles apply if the dividend distributing company qualifies under the Directive. Tax treaty states may also affect the tax treatment of dividends. Generally, the tax treatment of dividends distributed by unlisted companies is significantly more favourable than the tax treatment of dividends distributed by listed companies. In addition, repatriation of funds from non-restricted equity capital of listed companies is taxed as dividend income. Repatriations of funds by foreign shareholders may also be subject to Finnish dividend withholding tax. These considerable differences in the tax treatment of dividends may have influenced companies' willingness to go public. The two precedents concerning the deductibility of interest payments on intra-group loans17 are particularly important. Both cases concerned a Finnish branch that had acquired shares via intra-group transactions from a non-resident group entity. In its decision, the FSAC considered whether the acquisition loan and the related interest payments could be attributed to the Finnish branch and deemed a deductible expense. In both cases, the deductibility of interest expense was denied. The Finnish tax administration subpublished its view that it will also take subsidiary structures under review based on this new case law. These precedents might therefore have further significance in the future. The FSAC is expected to issue a precedent on subsidiary structures in the near future. Following the 2015 parliamentary election, the government agreed on a new tax policy. The tax policy and subsequent measures taken have aimed to boost growth, entrepreneurship and employment. The previous broad tax base policy and measures to combat tax avoidance, coupled with low or moderate tax rates, has continued and will continue. Reducing taxation of labour is intended to support employment and economic growth, and to ensure increased purchasing power. The easing of taxation on labour will be funded, inter alia, by increasing excise duties, such as tobacco and waste tax. The government has initiated preparations for setting up a long-term road map for taxation in order to ensure predictability, competitiveness and consistency of the tax treatment of corporations and other taxpayers in Finland. Relevant laws in insolvency are the Restructuring of Enterprises Act (47/93, as amended) and the Bankruptcy Act (120/2004, as amended). The Ministry of Justice has launched a project to amend the latter. A Bankruptcy Work Group, a specialist task force working under the Ministry, published a memorandum on 4 April 2018 on proposed amendments to the bankruptcy legislation. The memorandum is being circulated for comments to experts in various fields and interest groups. The memorandum proposes amendments that include special provisions relating to environmental liabilities and acceleration of bankruptcy proceedings. Furthermore, the Council of State has published an international study on debt-to-equity conversion in connection with corporate arrangements and insolvency. Several recently listed companies have been going through bankruptcy or restructuring proceedings, although the only publicly listed company that has been declared bankrupt is Takoma Plc. Takoma Plc, which was listed on the Helsinki Stock Exchange, and its operational subsidiary Takoma Gears Oy, were declared bankrupt on 21 March 2017 by a decision of the District Court of Pirkanmaa. The case that has received the most press coverage by far is the restructuring proceedings of Talvivaara Mining Company Plc, and its subsidiary Talvivaara Sotkamo Ltd. Talvivaara group's insolvency proceedings, which lasted a couple of years, included criminal proceedings relating to management liability and complex environmental proceedings. These proceedings were adjudicated in May 2016, subjecting certain executive officers to penalties in the form of fines and dismissing any prison sentences. In an attempt to revive Talvivaara, the state-owned company Terrafame Ltd acquired all assets relating to the mining operations in mid 2016. The latest turn of events has been that Talvivaara Mining Company Plc changed its name to Ahtium Oyj, and was then declared bankrupt on 6 March 2018. Another notable example of a publicly traded company that resorted to formal insolvency proceedings is Componenta Plc, which, with its subsidiaries in Finland and Sweden, filed applications in September 2016 for the commencement of corporate restructuring proceedings. Its Dutch subsidiary had also filed for bankruptcy and was declared bankrupt at this time. At the end of August 2017, the District Court of Helsinki confirmed the restructuring programme for the Finnish parent and subsidiary; the Swedish court has confirmed the restructuring of one subsidiary and declared two subsidiaries bankrupt. The restructuring programmes of Componenta Plc and its Finnish subsidiary have since been certified by the District Court. The bankruptcy proceedings of Tiimari Plc that commenced in 2013 ended in 2017, while the restructuring programmes for Technotree Plc and Trainers' House Plc were confirmed in September 2015 and November 2016, respectively. Since early 2015, Euroclear Finland has been going through a three-phase process of replacing its entire central securities depository (CSD) infrastructure. Its new CSD system, Infinity, replaced the fixed income platform in 2015 and the HEXClear equity transaction processing system in 2018. The final phase will make the Finnish market connected with and outsource central bank money settlement to the European Central Bank's TARGET2-Securities platform. Euroclear Finland is currently applying for its CSD licence under the Central Securities Depository Regulation (CSDR)18 and is obliged to implement the settlement discipline regime under the CSDR during Q3 2020 at the latest. The settlement discipline regime introduces mandatory buy-ins. Central counterparty (CCP) clearing currently covers OMX Helsinki 25, Large Cap, Mid Cap and Small Caps shares, and exchange-traded funds. Nasdaq Helsinki supports a competitive CCP model, allowing its members the choice of a CCP from European Central Counterparty NV, LCH Ltd and SIX x-clear Ltd.
Standard & Poor's, Moody's and Fitch have affirmed Finland's sovereign credit ratings for long-term debt as AA+, Aa1 and AA+, with a stable outlook, since the end of 2016. These have not changed, except for Fitch's revised positive outlook in August 2018. The implementation in mid 2019 of the new Prospectus Regulation, which is intended to repeal the EUPD, will bring significant prospectus changes to the SMA and lower-level official regulation. With respect to national capital markets regulation, the Ministry of Finance has been active in planning domestic regulations to improve the Finnish capital markets in light of the new Prospectus Regulation. It is proposed that the Directive on shareholders' rights19 will enter into force on 10 June 2019, although certain provisions concerning the remuneration of management shall apply as of 1 January 2020. The Directive and the proposed legislative changes include four topics, namely remuneration of management, a listed company's right to obtain information on its shareholders, institutional investors and related party transactions. These forthcoming EU and national legislative changes are principally intended to encourage capital markets activity. In September 2018, the Finnish government published its proposal for a new shareholding account, which will bring certain tax benefits for Finnish private investors. Proposals such as this are also expected to further encourage the attractiveness of Finnish listing platforms. For these reasons and in view of its performance in the recent past, the future for Finnish capital markets is looking healthy and the upward trend seems likely to continue. 1 Juha Koponen is a partner, Ari Syrjäläinen is a counsel and Mark Falcon is a senior associate at Borenius Attorneys Ltd. The authors would like to thank partners Niina Nuottimäki and Einari Karhu, and counsel Robert Peldán for their contributions to the bond, tax and insolvency sections, respectively, of this chapter. 2 Regulation (EU) No. 596/2014 of the European Parliament and of the Council of 16 April 2014 on market abuse. 3 Directive 2014/57/EU of the European Parliament and of the Council of 16 April 2014 on criminal sanctions for market abuse. 4 Directive 2003/71/EC of the European Parliament and of the Council on the prospectus to be published when securities are offered to the public or admitted to trading, as amended by Directive 2010/73/EU. 5 Directive 2014/65/EU of the European Parliament and of the Council on markets in financial instruments. 6 Regulation (EU) No. 600/2014 of the European Parliament and of the Council on markets in financial instruments. 7 Directive (EU) 2016/97 of the European Parliament and of the Council on insurance distribution. 8 Council Directive (EU) 2016/1164 of 12 July 2016 laying down rules against tax avoidance practices that directly affect the functioning of the internal market. 11 FSAC:2016:72, FSAC:2016:71 and FSAC:2015:11. 18 Regulation (EU) No. 909/2014 of the European Parliament and of the Council on improving securities settlement in the European Union and on central securities depositories. 19 Directive 2007/36/EC of the European Parliament and of the Council on the exercise of certain rights of shareholders in listed companies, amended by Directive (EU) 2017/828.